NORMAN — The No. 1 Oklahoma women’s gymnastics team wrapped up its home slate with a quad-meet win over No. 10 Arkansas, No. 12 ASU and No. 15 Denver Friday night at Lloyd Noble Center. RALEIGH – Finishing with a score of 196.100 on senior night vs. #2 LSU, the #24 NC State gymnastics team closed the meet out spectacularly by posting a season-high 49.450 on floor Friday night inside Reynolds Coliseum. 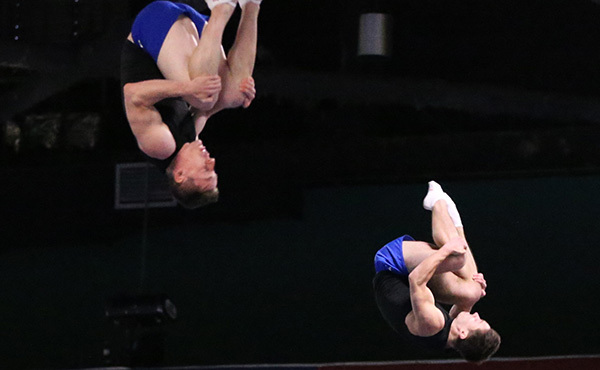 STANFORD, Calif. – Perfect scores were flying at Maples Pavilion on Sunday in No. 27 Stanford's home finale against No. 3 UCLA. 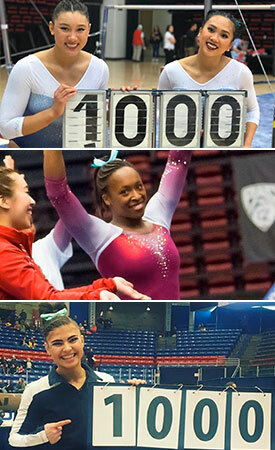 Four 10's were earned during an entertaining meet that attracted 2,047 spectators. ANN ARBOR, Mich. -- It was a special day in Crisler Center as four seniors competed for the final time at home in front of a record crowd of 7,212 as Michigan earned a victory over No. 4 Utah, 196.950-196.800. GAINESVILLE, Fla. – No. 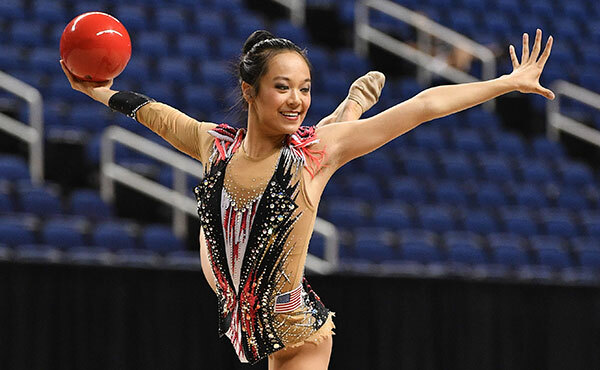 5 Florida gymnastics closed home action with a 197.925 – 196.70 win Friday evening over No. 13 Nebraska in front of 5,648 at Exactech Arena at the Stephen C. O'Connell Center. HUNTSVILLE, Ala. – The No. 16 Auburn gymnastics team met up with rival and No. 6 Alabama at the annual Elevate the Stage meet Friday night, scoring a 196.9 at the Von Braun Center in Huntsville. DURHAM, N.H. – University of New Hampshire gymnastics senior co-captain Casey Lauter (Northport, N.Y.) recorded a perfect 10 on beam in her final home meet to lead UNH to a season-high 196.425 at the Whittemore Center. SEATTLE – The No. 9-ranked Washington GymDawgs scored their highest total of the year with a score of 197.400 Friday night in a win over UC Davis and Seattle Pacific. CORVALLIS, Ore. – The Oregon State gymnastics team defended its home floor Monday night defeating No. 21 BYU, 196.975-196.375. CORVALLIS, Ore. – For the second time this week, the Oregon State gymnastics team won at Gill Coliseum, this time defeating Michigan State 196.800-191.350 on Senior Day. ATHENS, Ga. – The No. 17 Georgia GymDogs posted a season high score of 197.525 to defeat No. 14 Boise State's score of 196.625 on Saturday in front of a sold-out crowd at Stegeman Coliseum on Senior Day. DENVER -- The No. 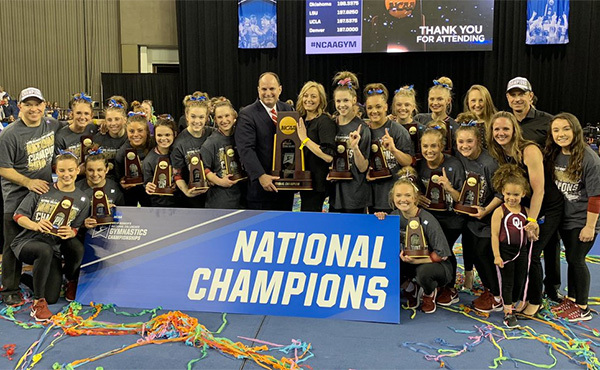 15-ranked University of Denver women's gymnastics team posted its highest score of the season and tied the third-highest score in program history with a 197.300 on Monday night. WASHINGTON -- In its final day of competition in the Charles E. Smith Center, the No. 18 George Washington gymnastics team capped off its 2018 home slate by tying its program record score of 196.875 to finish in first place in a celebratory Senior Day Meet on Sunday afternoon. AMES, Iowa – No. 25 Iowa State (18-4) produced one of the best performances of head coach Jay Ronayne's tenure with a season-best score of 196.700 to win a tri-meet over No. 19 Missouri (196.050) and Iowa (195.600) Friday night at Hilton Coliseum. SACRAMENTO, Calif. — The Sacramento State gymnastics kept its home success going, posting its second highest score of the season in a four-team meet on Friday at The Nest. DAVIS, Calif. - Freshman Kelley Hebert tied the school floor exercise record for the second time in as many home meets, while winning the individual all-around at 39.275, leading UC Davis in its women's gymnastics home finale. NORMAN — Despite resting a pair of its best all-around performers for the majority of the night, the No. 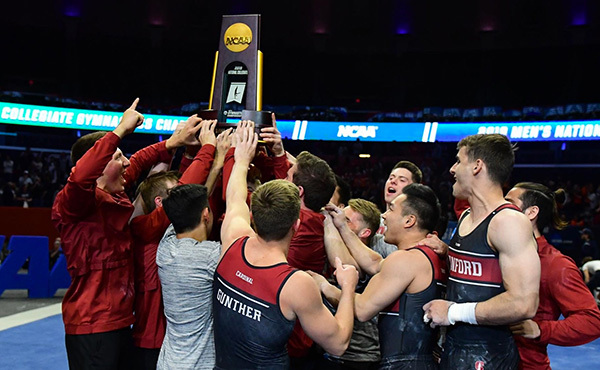 1 Oklahoma men’s gymnastics team wrapped up its home season with another victory Saturday, defeating Cal 410.100-397.250 and extending its win streak to 87. STANFORD, Calif. - No. 4 Stanford was edged by No. 2 Ohio State on Saturday evening at Maples Pavilion in the Cardinal's final meet of the regular season. TEMPE, Ariz. – The Penn State men’s gymnastics team earned a decisive victory over Arizona State and Navy, scoring a 402.450 Saturday, March 10. IOWA CITY, Iowa – The No. 9 University of Iowa men's gymnastics team upset No. 6 Minnesota, 405.950-400.750, snapping Minnesota's five meet win streak, in a tri-meet with Air Force (388.600) on Sunday at Carver-Hawkeye Arena. 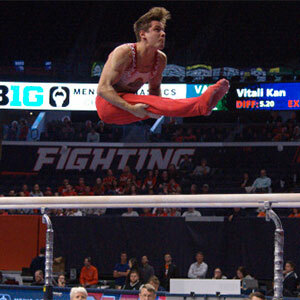 CHAMPAIGN, Ill. - The third-ranked Fighting Illini men's gymnastics team finished with a team total of 405.700 to take down both No. 11 Air Force (389.050) and UIC (361.300) on Friday night at Huff Hall. 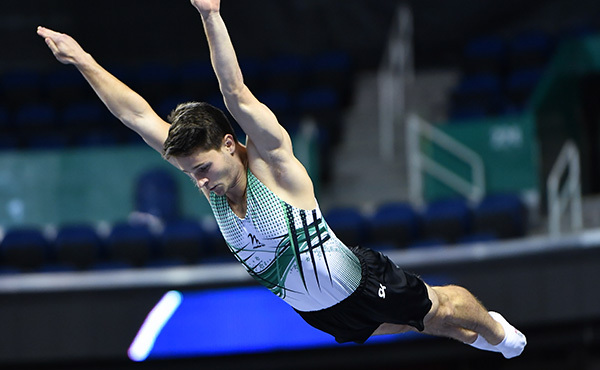 WILLIAMSBURG, Va. (March 10, 2018) – The William & Mary men's gymnastics team posted its best performance of the season en route to earning a 398.85-387.9 victory against Army on Senior Day at Kaplan Arena. 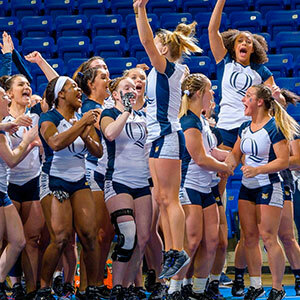 PROVIDENCE, R.I. – March 10, 2018 – The Ithaca College women’s gymnastics team claimed the 2018 National Collegiate Gymnastics Association (NCGA) East Regional Championship after breaking it’s team scoring record with a mark of 191.475 on Saturday afternoon. SPARTANBURG, S.C. – The Converse (2-2) acro and tumbling team showed great effort but could not complete the upset against three-time defending national champion, Baylor on Wednesday evening inside Hannah Gymnasium. EUGENE, Ore. – The Oregon acrobatics and tumbling team could not quite stick the landing in Sunday afternoon's tri-meet, defeating No. 6 Gannon but falling to No. 4 Quinnipiac after dropping the final event of the night. 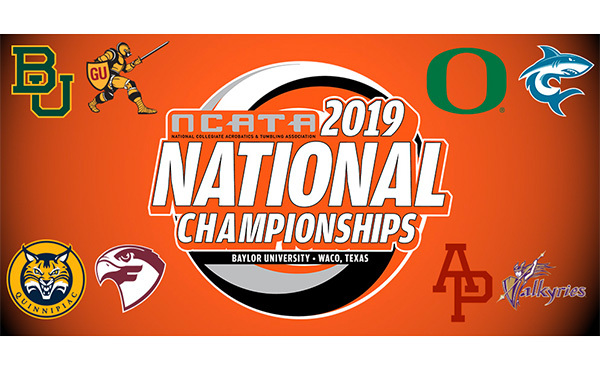 FAIRMONT, W.Va. -- Fairmont State used a 91.61-89.65 advantage in the team event to rally past Hawaii Pacific by a narrow 267.560-267.125 margin on Tuesday evening at Joe Retton Arena. WEST LIBERTY, W.Va. – The West Liberty University acrobatics and tumbling team made history Friday night by picking up the first win in school history in a triangular against Hawaii Pacific and Davis & Elkins at the ASRC. ADRIAN, MICH. -- The Adrian College acrobatics and tumbling team hosted Concordia University Wisconsin on Saturday, March 10 in the final home meet of the season. The Falcons tallied 238.990 points to the Bulldogs 229.720 to earn the victory on Adrian College senior day.